Beauty in the Breakdown: You know I'm always coming back to this place. You know I'm always coming back to this place. Yesterday was the day I've been counting down to since I landed in North Carolina. I got to go home. Home to my beautiful Campbell, home to my safe place, home to my people that I have missed so desperately over the past year. I got there at about 12:15. I wandered around and hung out in the beautiful weather until 2:00 when I went to speak to Dr. Thornton's senior seminar class. He asked me to come in and give them some advice and perspective on getting through the senior thesis. I spent about an hour there talking, and then saw Dr. Stanke, and then, since I was still waiting to hear back from a certain boy, I told him I was going to be in the student center. I had to go to him about two and a half hours later, and hung out with him and his friend for a little while, but then just went to Summer's house when they headed to dinner. She had to go to work after we ate, so I hung out and watched basketball, talked to Clayton, listened to music, and took a shower. I couldn't get to sleep until about 2 am just because I was so happy to be back. This morning, we woke up rather late because Summer didn't have class until 11. She dropped me at Chick-Fil-A and I ate something small. 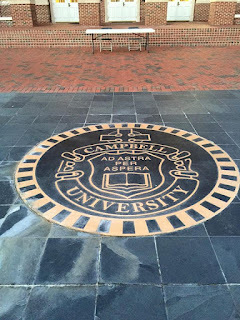 Then, I went over to the administration building to see the Campbell Alumni office, who had asked me on Twitter to come by, but the lady wasn't in yet so they asked me to come back after 12:30. No problem. Matt texted and asked me to meet him at this grill right off campus at 1, so eventually I made my way over there nice and slowly (Summer's guest bed is super hard so my back and hips have been killing me). I ended up getting to have lunch with both him and Martinez, a two-for-one Matt special. When we were done, they drove me back towards the library, which now has this really nice, full-size Starbucks inside, as opposed to the mini one that was in the student center the whole time I was a student. There I got to hang out with my friend Mercedes (who just so happens to be Ryann's cousin) and we talked about a million different things. That did my heart so much good. Sometimes God is really awesome and gives you a friend who has dealt with so many similar experiences that she just understands how you feel and why you are the way you are. I'm so thankful we got to hang out for a bit. After that, I went over to try to see the Campbell Alumni director again. This time, she was in a meeting and had no idea how long it would take, so I left my number and someone else said she would get her to call me whenever she got out of the meeting so we could actually set up an appointment for me to meet and so I didn't waste time that afternoon and risk her not being free before business hours were over. Then, I went over to D. Rich and hung out and talked with Dr. Stanke and Dr. Thornton again for a while. Summer had to come back to main campus to work at that library tonight (she was at the med school library yesterday) so I told her I would just stay and eat dinner on campus and hang out until her shift started. I was still waiting to see when I could meet up with one other person, so I figured it would be best to stick around the whole time. So I went to Burger Studio around 5 and ate dinner. I ended up spending all night there. My friend Danielle (I met her through Ricky) couldn't come see me until about 8:30, and Summer told me they were suddenly enforcing the rule that workers weren't allowed to have visitors, so I just stayed there. Danielle left at like 9:15, and I stayed until they closed at 10. Then, I went into Starbucks and had another hot chocolate, and then I sat in the lobby of the library and listened to music and texted Summer...while she was about 5 feet from me. Ha! My friend Nicole was able to come pick me up at like 11:20 and take me home a bit early so I could go ahead and get a shower, since Summer didn't get off until midnight. I tried to fall asleep early, but my brain just would not shut off because of how filled with sheer joy I get when I am here. There's nothing like being with my people. They are my home. 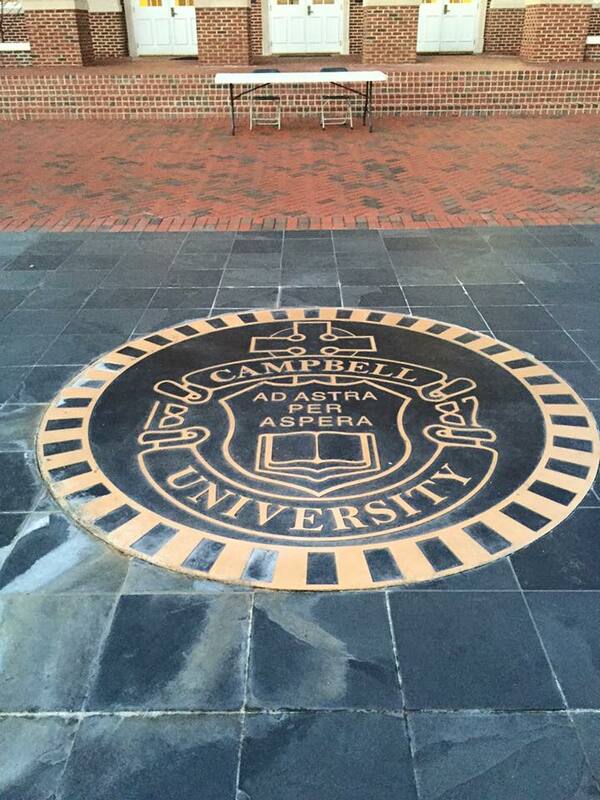 I am and will always be Campbell proud. 112 days. 16 weeks. Let's get it. Friends help friends get some nerve. History doesn't have to repeat itself.